Dark Souls? That’s the really hard one right? It’s fairly common for people to overstate how difficult Dark Souls is. In the past couple of weeks I managed to finish both games in the series. They’re fantastic games, but really not as rock hard as people make them out to be. As long as you’re cautious, observant and learn how to create a decent character build, then the game gets much easier. Not to say it becomes super easy, but it becomes manageable. There are certainly moments where I felt frustrated because I was losing a fair amount of times, but then I would slow down, and keep an eye out for what was killing me. After doing that I wasn’t dying so much. Most of my deaths were down to rushing in and over-estimating my own abilities. I even managed to get my younger brother to sit and play the game, he mashed buttons through most of the combat and ended up losing very quickly. He didn’t enjoy it. To be fair he doesn’t play video games much. 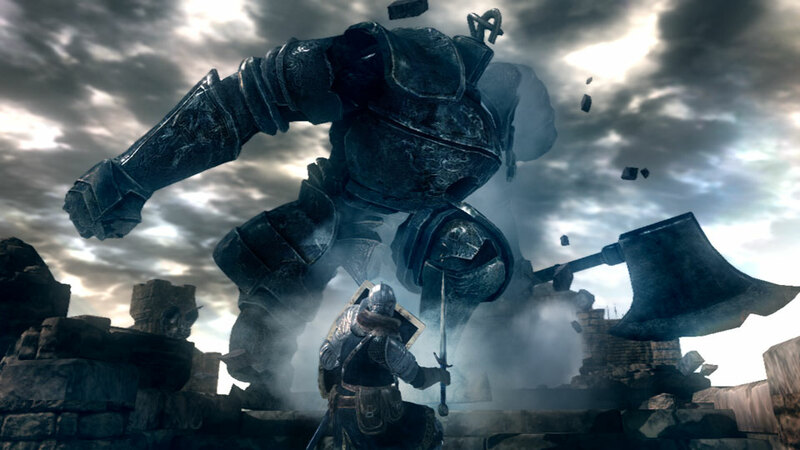 But really, Dark Souls might just be one of the greatest video games I have played recently. Once I figured out how to handle each enemy, it became very satisfying, not because I was winning by blind luck, but because I earned those victories. It doesn’t stick you in a room full of fast enemies and expect you to deal with it quickly, Dark Souls works at your own pace. You can avoid being overwhelmed by picking off enemies one at a time. That might sound very easy but don’t let your guard down too much around a single enemy. 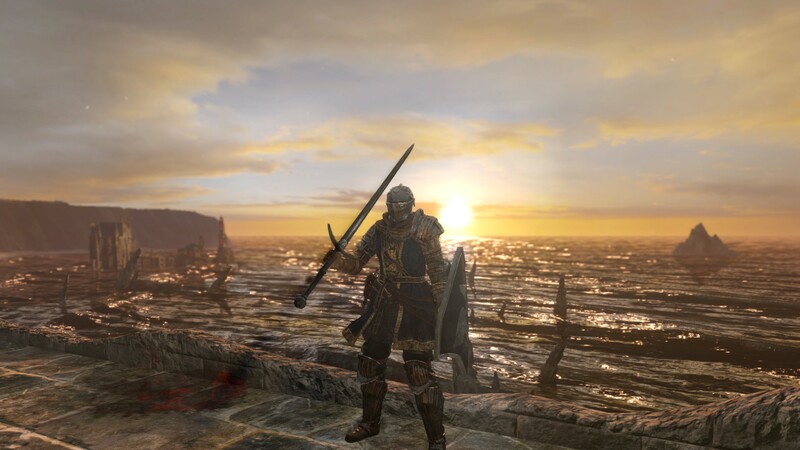 When I finished the game a friend said to me: “Every other game is going to feel a lot easier now.” I said not if I play Dark Souls II next, which is exactly what I did. For as grim as they are, the games can sometimes be remarkably pretty. Dark Souls II is even easier, mostly because a lot of the bosses follow the same patterns as each other, healing items are in an absolute abundance, checkpoints feel closer together and your character levels up a lot faster. There are a few points where the game feel a bit harder, but not fair. You are forced into combat situations where you have to take on multiple enemies at once, which is not suited to some of the mechanics of the game. The lock on targeting isn’t really made to deal with more than two or three enemies at a time, which is why it becomes a bit of a hassle in large combat situations where you have to take on five or more enemies at once. And when there are so many enemies, you have to wait for a lucky chance in which one of them isn’t attacking, which can sometimes take a fair bit of waiting. Then there are moments where it just feels rougher around the edges. The hit-boxes in the game don’t feel consistent, some of them are about three times the size of what you’d think they would be. Sure you can get used to it eventually, but it’s not fun to be suddenly magnetised into an enemy’s instant-kill grab attack. I wouldn’t say that this makes it a bad game because it’s still better than a lot of games out there. At its greatest it still has the same satisfaction you would get from besting an area in the first game, it just doesn’t feel as refined in spots. Which is why I would seriously recommend trying these games out if you haven’t, they might not be for you, and it’s possible you could get frustrated from losing so much. But I haven’t felt as satisfied by a game recently as when I did when I took down some of the more challenging bosses.